January is here—and with it, Glaucoma Awareness Month. However, while it’s good to spread awareness of glaucoma and its impact on seniors, glaucoma is only one of many eye conditions that are more common as we age. With the new year here—and with this month’s focus on vision—there’s no better time to explore senior eye health. Read on for a look at how eye health changes as we age and symptoms to be on the lookout for. Many adults’ visions begin to change beginning in their early to mid-40s. Between ages 41 and 60, it’s not uncommon for adults to notice a change in their ability to see clearly at close distances, such as when driving, reading, or working via computer. 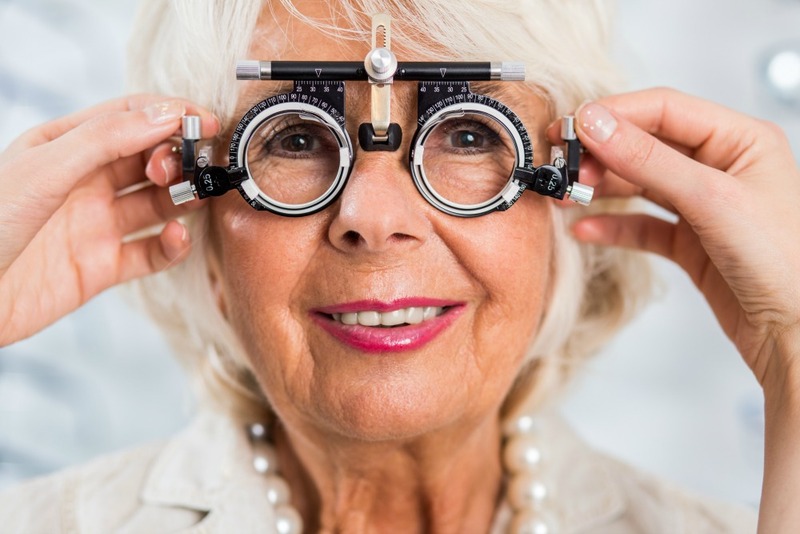 It’s important to note that many eye diseases do not present early symptoms, making it essential for seniors to make good lifestyle choices and have regular eye exams. Seniors and their caregivers also need to know what subtle signs to look for to detect problems as early on as possible because the earlier these conditions are detected and treated, the better the outcome. How Does Your Aging Loved One’s Vision Care Stack Up? At Senior LIFE, we provide all medically necessary care for members—including high-quality vision care. While symptoms are often absent in the early stages of eye diseases, there are still some telltale signs of vision problems that you can look for. If you or your aging loved one experience any of these symptoms—or any sudden change in vision at all—it’s essential that you schedule an appointment with an eye doctor immediately. No one understands seniors’ unique needs quite like Senior LIFE—even when it comes to senior eye health. In addition to providing members with a number of preventive health services, we also provide them with vision care—including exams and, when medically necessary, glasses—at no extra cost. One of the many benefits of enrolling in Senior LIFE is that members have access to all necessary medical and supportive services 24 hours a day, 365 days a year. Our team coordinates and provides all medically necessary care for members, including vision care. Upon enrollment, members are assigned an interdisciplinary care team, which includes physicians, nurses, social workers, rehabilitation therapists, and other providers. Together, our team works to develop a personalized care plan for each member. Should these needs change, so will the member’s care plan. Whatever your or your aging loved one’s changing needs are, Senior LIFE is here to accommodate those needs. Our program is specifically designed to help seniors live their best lives at home and maintain the independence they want. With Senior LIFE, members are able to access the health and supportive services they need—including quality vision care and services—to live their best lives possible at home. If you think you or your aging loved one might benefit from our comprehensive, senior-focused services, contact us to learn more about our programs and set up a free eligibility check.